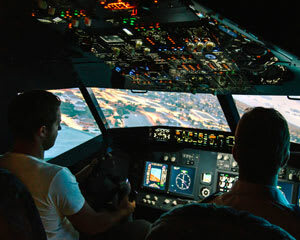 Take to the skies in a 120 Minute Flight Simulator Experience in Canberra. Choose from over 22,000 different International Airports and bring along up to three passengers to share your experience. At some stage we've all wished we could sit in the pilot's seat of an airliner instead of stuck in cattle class - well now that dream can come true with a 120 minute Flight Simulator Challenge Experience in a replica Boeing 737-800.